Yoga Alliance certification in India, list of registered yoga schools (RYS 200, RYS 500) in Rishikesh conducting yoga teacher training courses. Yoga Alliance is the national education and support organization for yoga in the United States. Yoga Alliance supports students to learn and teachers to teach yoga. The Yoga Alliance directory represents over 25,000 yoga teachers and schools that meet internationally recognized standards of training, experience, and ongoing professional development. Protecting the health and safety of society these standards encompass the many aspects of yoga including anatomy and physiology, yoga lifestyle and ethics, teaching methodology, and techniques training. Yoga Alliance standards provide teachers with an important foundation for their yoga teaching practice. Acknowledged by the designation RYT, E-RYT, and RYS, Yoga Alliance Registered Yoga Teachers and Registered Yoga Schools can be found at www.yogaalliance.org. Yoga Alliance does not provide the 200 hour or 500 hour certification but offers designations to those yoga schools and yoga teachers that are registered with Yoga Alliance. For registered yoga schools, the designations are RYS 200, RYS 500 while for registered yoga teachers the designations are RYT 200, E-RYT 200, RYT 500, E-RYT 500, etc. Registration with Yoga Alliance enhances the credibility of the yoga school or the yoga teacher as it serves to bestow recognition for yoga schools and yoga teachers. Yoga teachers who are already registered with Yoga Alliance as RYT 200 can upgrade to RYT 500 by completing 300 hours more of yoga teacher training from RYS 500 and providing proof of 100 hours of yoga teaching experience. Teachers can register as E-RYT 200 if they have successfully completed a 200-hour yoga teacher training at an RYS and have a minimum of two years teaching of 1000 hours of yoga teaching at a single yoga school and not from multiple schools. E-RYT 500 requires 500 hour teacher training at an RYS and 2000 teaching hours over four years, 1,500 of the teaching hours must have been taught after completing training with a RYS 200 or 500 and the remaining 500 teaching hours must have been taught after completing training with a RYS 300 or 500. Yoga Alliance doesn't provide certification, rather it gives designations to registered yoga schools and teachers e.g. RYT 200, ERYT 200, RYT 500, ERYT 500, RYS 200, RYS 500 etc. Registration with Yoga Alliance® enhances your credibility as a yoga teacher since it's designations are the premier forms of recognition for yoga teachers. The Yoga Alliance registry provides global recognition of your knowledge, training, and experience. Studio owners feel confident hiring you knowing that your training meets its standards and students can trust that they receive instruction from a qualified teacher. By maintaining your registration, you may use the RYT® or E-RYT® designation following your name and on your marketing materials and website. RYT 200 is a designation provided by Yoga Alliance to yoga teachers who have completed minimum 200 hour yoga teacher training from a RYS 200 - registered Yoga school with Yoga Alliance. The registration fee for international students is US$ 110, thereafter, it needs to be renewed every year by paying US$ 85. In order for a student to earn the RYT 500 designation, they must complete a registered RYS 500 formal yoga teacher training. 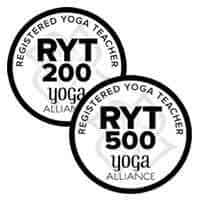 Studying under an E-RYT 500 is not enough to register with Yoga Alliance for RYT 500 designation. Yoga teachers who are already registered with Yoga Alliance as RYT 200 can upgrade to RYT 500 by completing 300 hours yoga teacher training from RYS 500 and providing proof of 100 hours of yoga teaching experience. 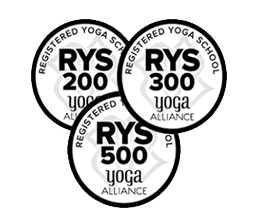 RYS 500 - Registered Yoga School with Yoga Alliance Yoga schools registered with Yoga Alliance to impart 500 hours yoga teacher training are labeled as RYS 500. Is Yoga Alliance certification internationally recognized? The growing number of yoga schools all over the world necessitates the setting up of a certain standard of credibility. Holding a recognized certificate, therefore, becomes a prerequisite of job security. Yoga Alliance Certification, RYT 200 and RYT 500, enjoys international recognition. In order to cater to the needs of international students, no. of yoga schools registered with Yoga Alliance in India is growing day by day.